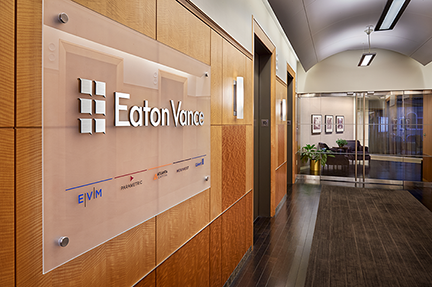 Eaton Vance Management (EVM) applies in-depth fundamental analysis to the active management of equity, income, alternative and multi-asset strategies. EVM’s investment teams follow time-tested principles of investing that emphasize ongoing risk management, tax management (where applicable) and the pursuit of consistent long-term returns. The firm’s investment capabilities encompass the global capital markets. With a history dating back to 1924, EVM is headquartered in Boston and also maintains investment offices in New York, London, Tokyo and Singapore.